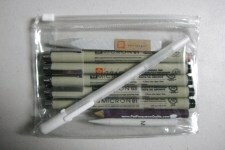 White Zentangle Tiles pack of 10. 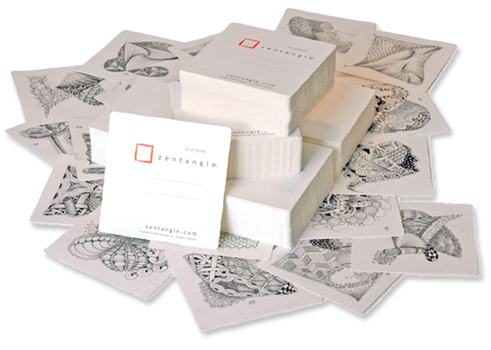 Zentangle uses a mould-made, acid-free, 100% cotton, heavy-weight fine artists’ paper with a beautiful vellum surface finish. 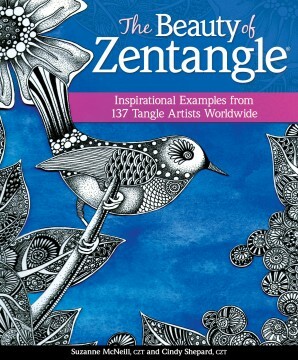 Your Zentangle tile pack includes 10 tiles. Each tile is custom die-cut, inspired by this fine paper’s original deckle edges. 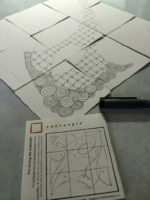 Our idea to die-cut their edges arose when some early Zentangle prototypes accidentally went through the laundry. 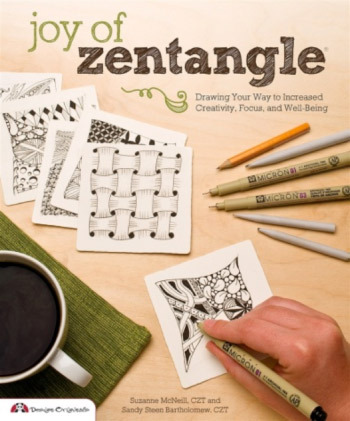 While those Zentangles came out in great shape, with their patterns not a bit faded, their edges were softened and their corners rounded. This so added to its beauty that we decided to die-cut our tiles from then on. 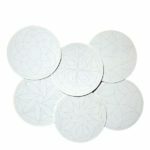 Sized at 3-1/2 inches square, these tiles are designed to fit in pockets or in old floppy disk containers. 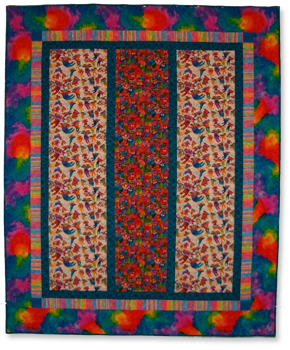 The die-cut edges also fit together nicely in a mosaic.